We are in FULL SPRING MODE! Yes open and fishing. The fishing has been pretty damn good too! Nymphing rules. Swingers are really doing well. The streamer fishing on a few occasions has been lights out, and the dry fly guys are sneaking around capitalizing on they midge showing themselves! Yes, your favorite Missouri River Fly Shop is yet again running discounted spring guide trips. Lodging in the area is on sale too. You will have to call up the friendly folks at Headhunters to check on the current discounted lodging sites as there may be a few more I have not listed. 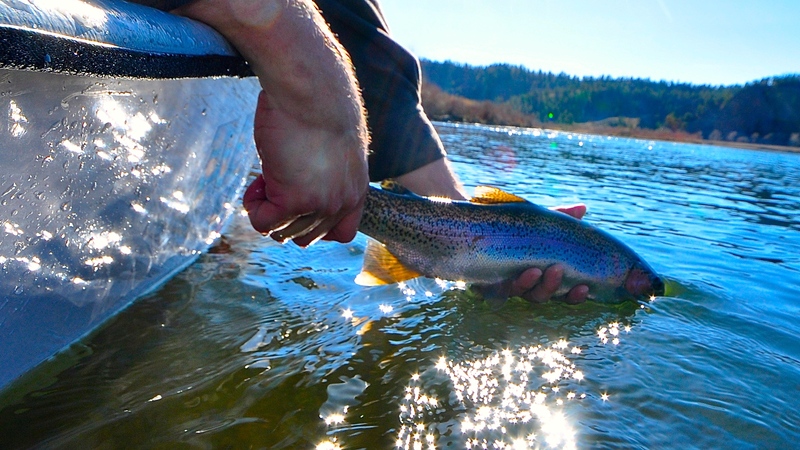 Know this, the Craig Trout Camp properties lead the charge on annual spring pricing. Headhunters Guide Trips $400 March 15th thru April 30th. This popular spring trip allows you the angler to knock the rust off for your summer pursuits. 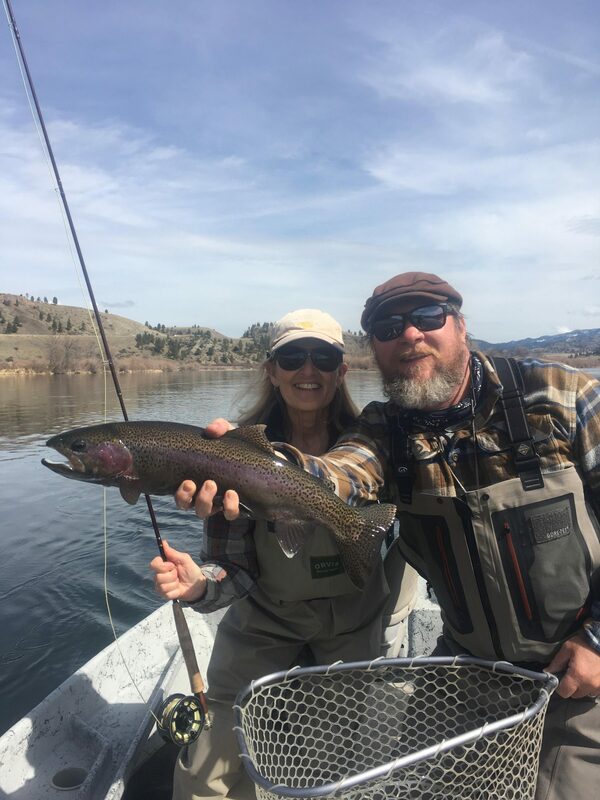 Spring fishing is strong on the Mighty Mo with nymphing and streamer anglers finding some nice results. The days are shorter and the trip may be too coupled with the nearly 30% discount escorts you into spring Missouri River bliss. BWO’s, some occasional stones, midges hatching during the after lunch session. Streamer anglers can tug that thing all day long with a few of our larger fish of the year being caught during the early season. For those interested in Trout Spey, book a guide, test/demo any rod you want, learn a few insights into this mysterious two handed game. Most of the Headhunters cadre of fly fishing guides will be on hand to ease you into 2018! Visit CraigTroutCamp.com for pics, amenities, and location of the properties below located in downtown Craig Montana. Craig Trout Camp added 3 more rental properties in 2018. BWO, PMD, and TRICO cabins sleep two, TV, located behind the shop, renting for $150/nt thru April 30th. Craig House, carries a spring rate of $250/ up to 4 guests, and $350 for 5 or 6 guests. Sutton House, sleeps 4, is only $200/nt. Visit CraigLodging.com for a full selection of river properties, well over 20 houses ready to accommodate you and your fishy friends this season. Montana’s Wolf Creek Lodge is a bargain at $110/nt. Sleeps two comfortably. Just outside the Wolf Creek city limits a couple miles. A lovely time to visit the Missouri River. The weather can be kinda crappy some days. Others just awesome. Hatches of BWO’s later in the April period, Skwalas, dry dropper sorta rigs,. The nymphing is very good. The streamer fishing can move some large brown trout. A swingers paradise too. Come hone your skills with your Trout Spey Rod. We have the teaching guides to bring your game around! Call today. We will get you locked into your first fly trip of the season! Are the boat ramps at Pelican Point and Cascade open yet? Glad to see Izaak’s opens this week!